Tommy John Is Not a Doctor! | "Granny Beads and Grocery Store Feet"
Tommy John Is Not a Doctor! I was reading through the sports pages on MSN today and amidst all the bracketology talk and bubble predictions about the upcoming NCAA tournament, I saw an article stating Frank Wilson Jobe had passed away March 6th at the age of 88. I figure only the most diehard baseball fans would know that name, but Frank Jobe, in my opinion, should go into the Baseball Hall of Fame on a special ballot even though he never played baseball at any level, never threw a pitch, or fielded a grounder. 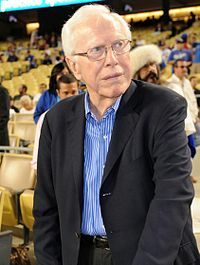 Instead, DOCTOR Frank Jobe developed a procedure which altered the way injured pitchers looked at their futures and to date has saved the careers of some of baseball’s most noted pitchers including players like Chris Carpenter, John Smoltz, Ben Sheets, and quite recently Stephen Strasbourg. The procedure is properly termed “ulnar collateral ligament reconstruction” but baseball fans everywhere refer to it by the name of its first recipient — then Los Angeles Dodgers left-handed pitcher Tommy John. But the surgery was a success beyond anything Dr. Jobe could have hoped for. 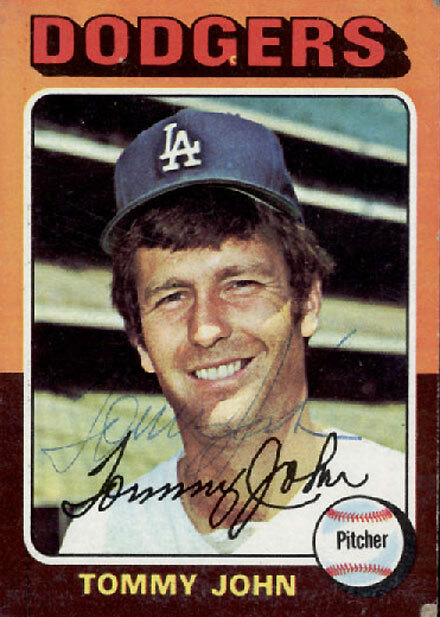 After a complete year of rehabilitation – a practice still followed today — Tommy John returned for the 1976 season and went 10 – 10, which was considered completely miraculous at the time. He also showcased the durability of the reconstruction by pitching fourteen more seasons before he finally retired in 1989. Today, estimates vary, but most hover at around one-third of all major league pitchers have (or will have) some degree of Tommy John Surgery. Thanks to a pitcher who wasn’t ready to throw in the towel and a doctor who was willing to try something entirely untested to put him back on the mound, a blown out pitching elbow no longer means an end to a career, but for many pitchers – the original recipient among them – it signals the beginning of even better performance. Hopefully, Cooperstown will think the same way I do and eventually, Dr. Frank Jobe will have a bronze bust in the special wing of the Hall of Fame to honor the man whose procedure saved the careers of nearly 100 major league pitching stars even if the non-baseball public continues to think Tommy John was the surgeon and not the patient!